what a week that was!! ...pumping waves & wild conditions!! The 2019 Byron Bay Surf Festival was a festival to remember. Offering five epic days of world class waves thanks to Cyclone Oma, cranking live tunes, inspirational films, world class art exhibition, enviro chats and Q&A panels with a few of surfing’s most influential competitors & characters. Despite extreme weather we managed to run 14 of the planned 16 events and the dedicated and happy crowd that packed out the local venues were stoked on the annual celebration of surf culture, and a real chance to hear from and meet some of Surfings true Legends! 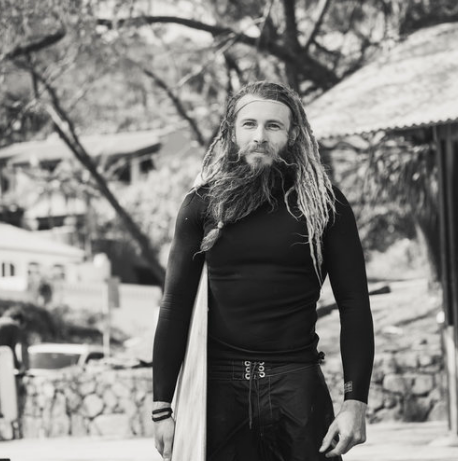 Saturday live talks were held from the Surf Club with chats by Small Giants' Dan Fitzgerald, BBSF’s community partner Waves 4 Water, 1% for the Planet and Atmosea. Chats about conscious investment, W4W’s OZ Program, female empowerment and self-love. The perfect wet weather activity, films were held at the Community Centre, including Beyond Litmus, Momentum Generation and Overcoming, a live stories event, were all well received. At night PLTS and Sunrose rocked out at The Beach Hotel, groovy and loud the night’s excitement could not be tarnished by wild weather! Sunday Funday it was all about surfing! ...and the huge BBSF wrap party...post surf everyone headed to the Beach Hotel to wash off an awesome five days. Stone & Wood’s cold beers flowed, as Seaside, The Vanns and Waax took to the stage for smashing live sets. 2019 was an incredible Byron Bay Surf Festival with mother nature providing an iconic swell to make it a true “surf” festival plus exciting events to keep everybody frothing and connected! Bring on 2020. Once again a very HUGE and WARM THANKYOU to our major sponsors for 2019. Your continued contributions and support is very much appreciated!! BBSF is an International event that brings people from as far as Japan, Canada and South America and we hope that everyone from any walk of life that attends would leave this festival inspired and full of happiness and stoke!! Copyright © 2016 Byron Bay Surf Festival, All rights reserved. On Sunday 24th Feb we set our compass to Australia’s most easterly point...the dreamy shores of Wategos Beach, for a froth-filled day of sun, surf and salt water for the entire family! Once again, this year’s Freestyle & Stoke surf sessions will feature some of surfing’s best and most eccentric sliders, brand new progressive wave-riding categories, and for the third consecutive year, BBSF will host one of last years crowd favourites…the McTavish Trim!! Our Freestyle & Stoke categories are progressively one-of-a-kind, with a strong focus on artistic interpretation and style. These non-competitive sessions are decided by peer vote, with advantage awarded to those presenting their surfing with style, wave and equipment adaptability, along with flare and freestyling fun, during each session! Invites are sent out for most sessions and fill quite fast. If an invitee doesn't show on the day, that invite goes open to the beach. So wax ya boards!! We're very stoked to be hosting for the 3rd year running The McTavish Trim at our Freestyle & Stoke Surf Sessions. The legend himself, Bob McTavish, will be holding his famed event right here in his own backyard!...no place better, right. Surfers compete on beautifully handcrafted boards, 10ft+ in length, with the winner being determined by whoever slides their craft, from the far point furthest up the beach, and only in the finest trimming style, of course. Last year every single inch of water gained counted...even up on to the sand!! Gals only in this hi fi good vibin' shred session. Grab your sista's and your buddies and bring any board you like for this one girls. There could be a few special guests in this one too! All in, all win!! (not really, there will be a winner as peer-voted by y'all...same as all other seshies! 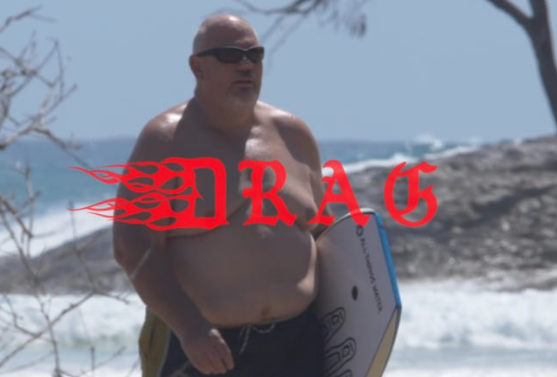 Chippa Wilson and co are bringing a bunch of DRAG boards to the beach for a good time!! Come demo, come slide!! This is the only time you can ever say that BBSF has gone soft… Foamies only...size or shape don't matter. Every other category has 12 surfers, but this one... this one we want 20! Shared waves, sit down, stand up, fall down, slide - All in, come do it!! BBSF Premiere event. Invite only. Modern or classic log 9ft+. Single fin only! International guests from Bali, California & Japan!! Come see the pro's doin' it! BBSF Premiere Event. Invite only. Modern or Classic log 9ft. Single fins pleeez! Spots may open up at beach if there's a no show. Rego at 7am. Yiew! 2 peeps on 1 wave. It could be your lover or your besty, your Mum or your bro. It don't matter who really, it's about sharing da wave! It's gonna be fun to do, and fun to watch! Register on the morning from 7am. More waves if we share!! Just last week two blokes sat in a shed, namely Justin Crawford and James McMillan. Poppin' a beer they checked out old Peter Crawford slides and an array of surfcraft from Peters kneeboards to a couple of original Michael Peterson single fins. They had a revelation and a new category was born, Crafting!! Watch this space! Open to one and all! Register before noon to join in the fun! ALL SURFERS on one wave TO THE BEACH!! You win there'll be a spesh prize! BBSF will have some shading provided, (and there's heaps of trees) but please bring hats, sunblock, water...and good vibes o' course!! CHECK ALL FESTIVAL EVENTS HERE! The sun & stoke all day will leave you thirsty and ready to party. Get yourself a couple of cold ones from Stone & Wood at the Beach Hotel and enjoy Live Music with WAAX, THE VANNS and SEASIDE from 5pm! !